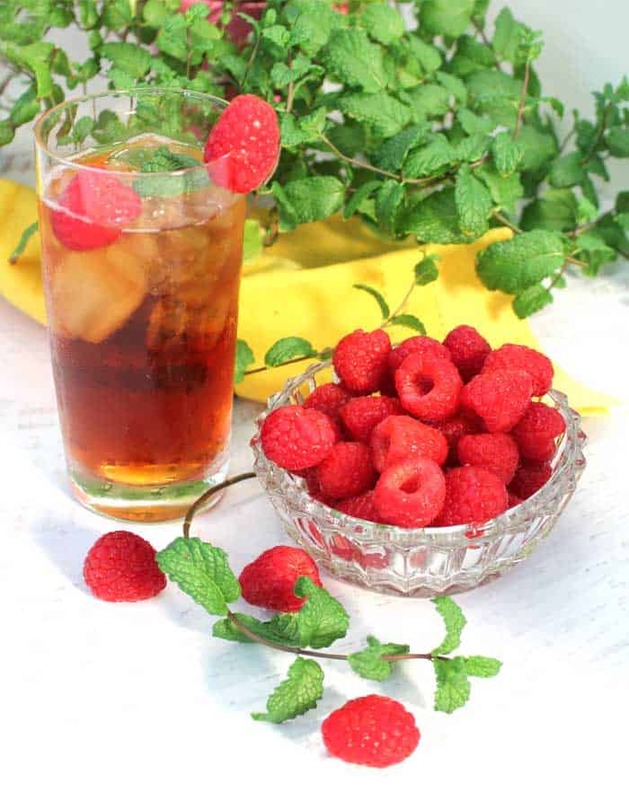 Raspberry Mint Iced Tea takes your favorite summertime refreshment up a notch. 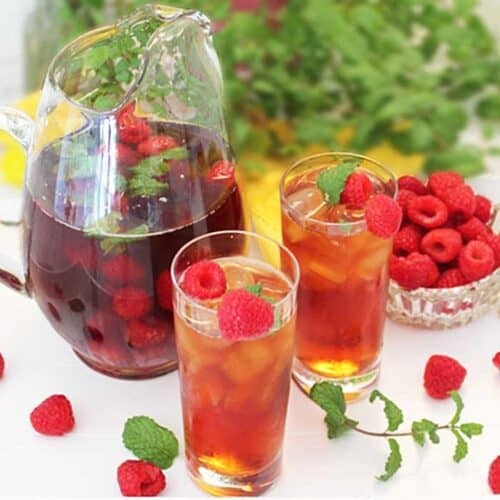 Juicy raspberries and savory mint leaves are added to fresh brewed tea to impart a sweet berry flavor with a touch of mint to classic iced tea. It’s a tastier and healthier way to quench your thirst. Summer time is here people and it’s hot! And what is the best drink to have on a hot day? Iced Tea, of course! 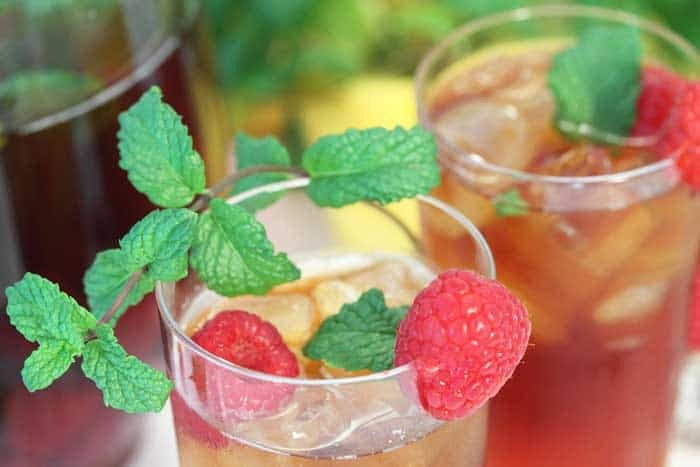 June is designated as National Iced Tea Month, although I don’t know why it just doesn’t last all summer long, so I thought I’d bring you a nice refreshing twist on the classic. 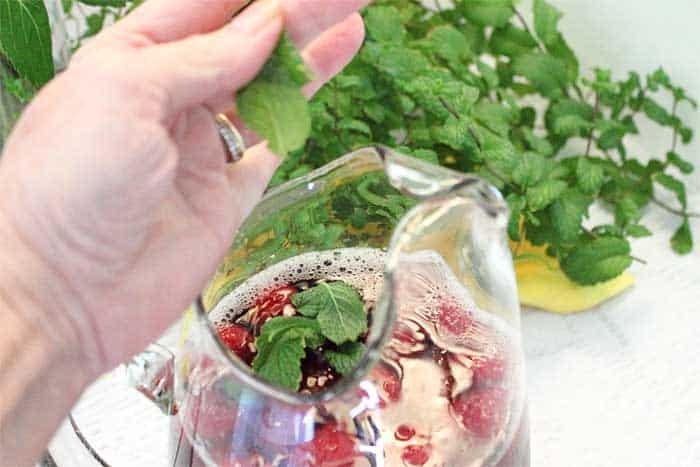 This Raspberry Mint Iced Tea is much healthier than the flavored iced teas you’ll find on the market, that are loaded with tons of sugar, because when you make it yourself you can control the amount of sugar you add! 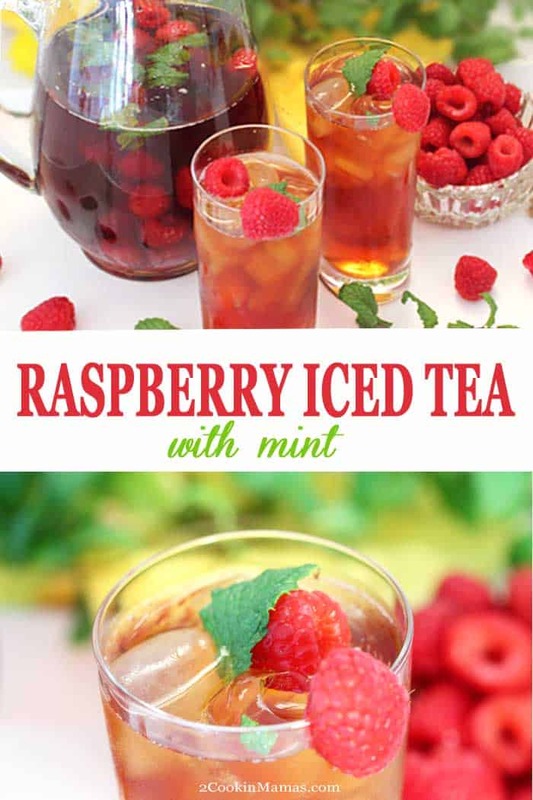 And all the ingredients in this iced tea are fresh, and who doesn’t love fresh raspberries and sprigs of mint, so the flavor is more intense. 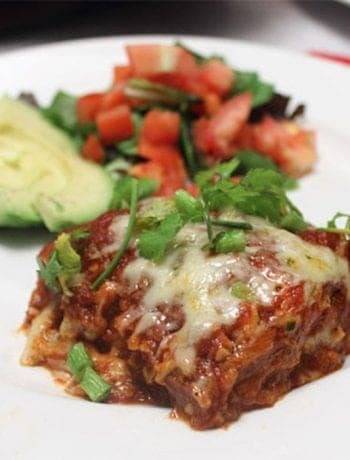 Trying to save a few calories? 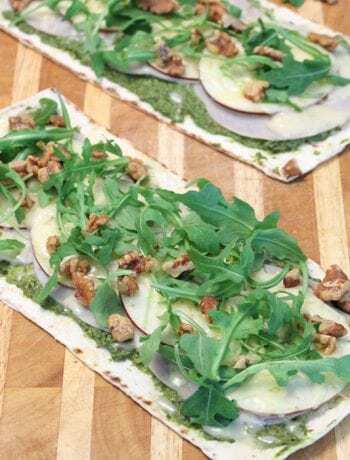 You can even make it with Stevia as a natural sugar replacement, just remember to start out with a little until you find the best proportion for you and your family. Not only is this iced tea simply delicious but simple to make too! It’s even easier if you use an iced tea maker. I like to brew mine in my Mr. Coffee Iced Tea Maker that I have had for years. Yep, they last that long! So how easy is this flavored iced tea to make? Check it out! After brewing the tea, add sugar while it’s still warm and stir to dissolve. 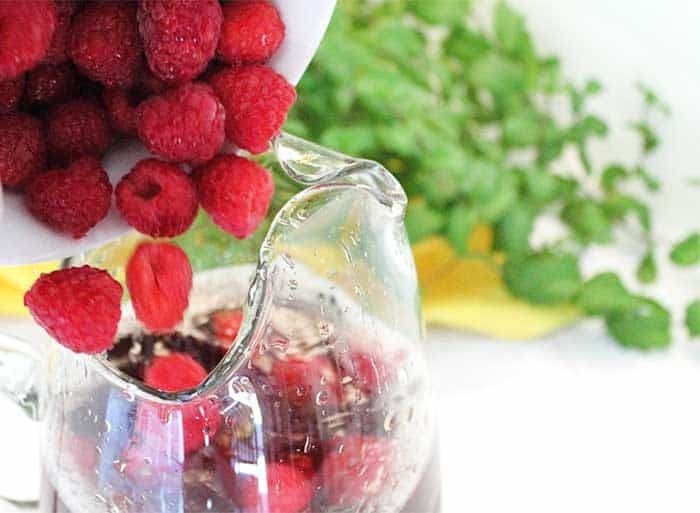 Pour into a large pitcher and add the raspberries. Next add some fresh mint, as much or as little as you like. 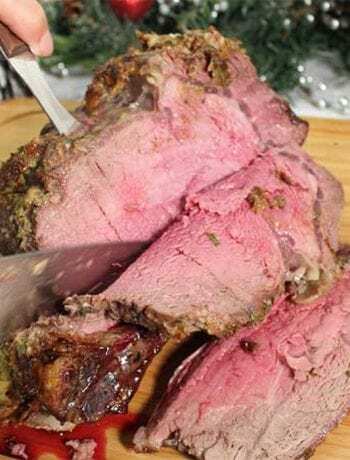 Cover and let chill in refrigerator for several hours. When it’s chilled, you can either serve as is or, as I like to do, crush some of the raspberries to release a little more flavor. And, when the tea is gone, you can just add more brewed tea to the raspberries and mint and let it chill again. It works twice before the flavor is diminished. Now, doesn’t that tea just look sooo good and sooo refreshing. It’s hitting the spot right now with our 95 degree heat! Enjoy a glass while you’re chillin’ on the patio or serve it by the pitcherful for your 4th of July BBQ. 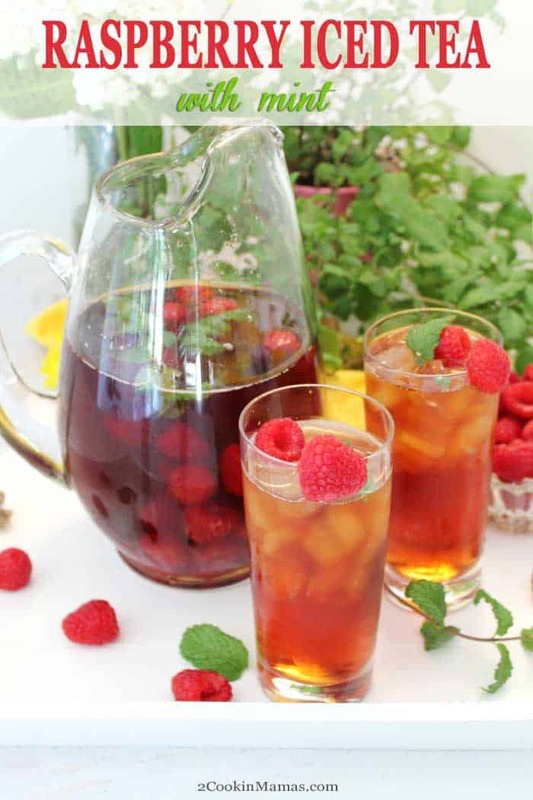 Raspberry Mint Iced Tea takes your favorite summertime refreshment up a notch. 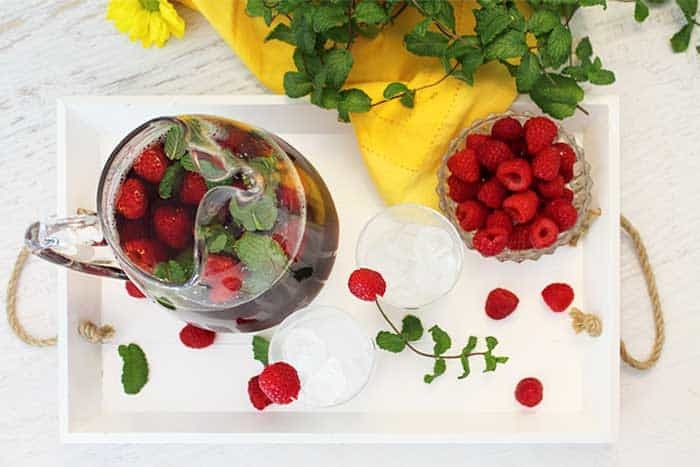 Juicy raspberries and savory mint leaves are added to fresh brewed tea to impart a sweet berry flavor with a touch of mint to classic iced tea. It's a tastier and healthier way to quench your thirst. Heat water to boiling in a large saucepan. Remove from heat and place tea bags in to steep. Add sugar and stir to dissolve. Allow the tea to steep for one hour. 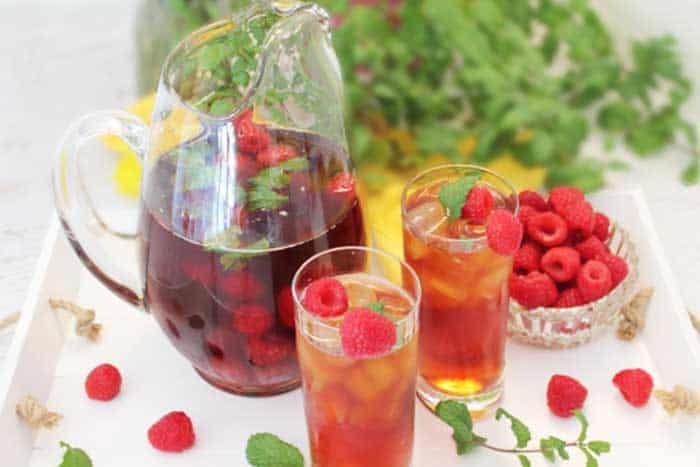 Pour into pitcher, add raspberries and mint leaves and return to refrigerator to allow the tea to be infused with the berry flavor, about two or more hours. Note: For more intense flavor, just prior to serving, crush some of the raspberries that are floating in the tea. Iced Tea Maker instructions: Fix your tea as usual with the 6 tea bags and the sugar added into the top part of the brewer. As soon as the tea is done, as the ice cools it as it is made, add the raspberries and mint and refrigerate. See how much easier it is with the tea maker! This post, originally written on June 10, 2014, has been updated with new photos and copy. So easy and refreshing! I love the combination of mint and raspberry, and it’s so pretty too! Love it! It is pretty, especially when the raspberries are crushed. And it’s so fun to try out different herbs to give iced tea that little extra something. This is just so refreshing and delicious. Summer and iced tea just go together. We always have a pot of iced tea sitting in the fridge and it’s so nice to be able to use my fresh mint. It’s super refreshing and can be made with just about any berries. Enjoy! Very refreshing and inviting especially during summer! I found the longer it stays in the refrigerator the more flavorful it becomes. I really like it best after it steeps overnight.